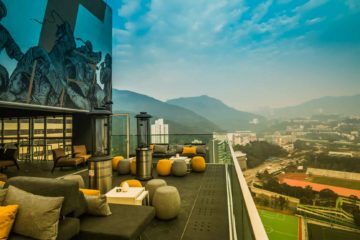 The idea of ‘mixing old and new’ is a term used so commonly these days it almost runs the risk of becoming cliché, but never has it seemed so original as at the Kerry Hotel, Kowloon. 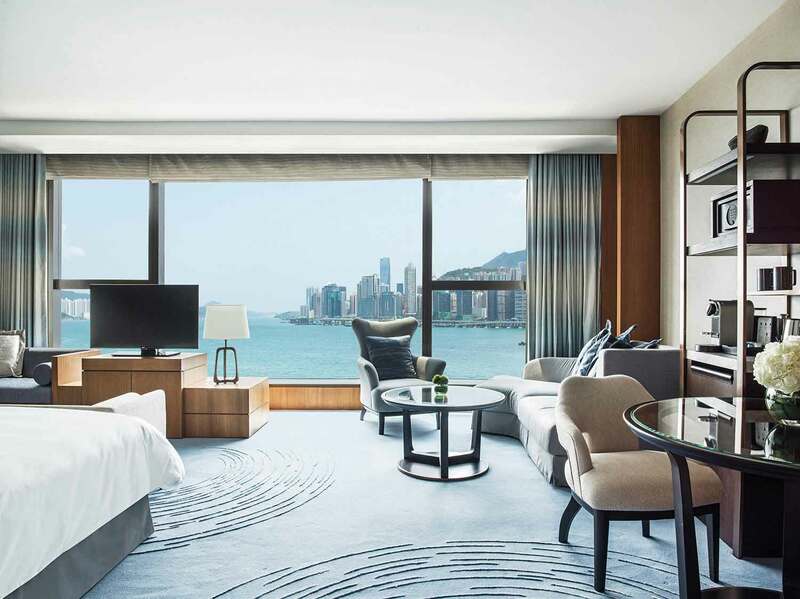 The Shangri-La group’s latest offering in one of the most densely populated cities in the world imposes an impressing footprint in the neighbourhood of Hung Hom – a part of town that has only existed for six years. 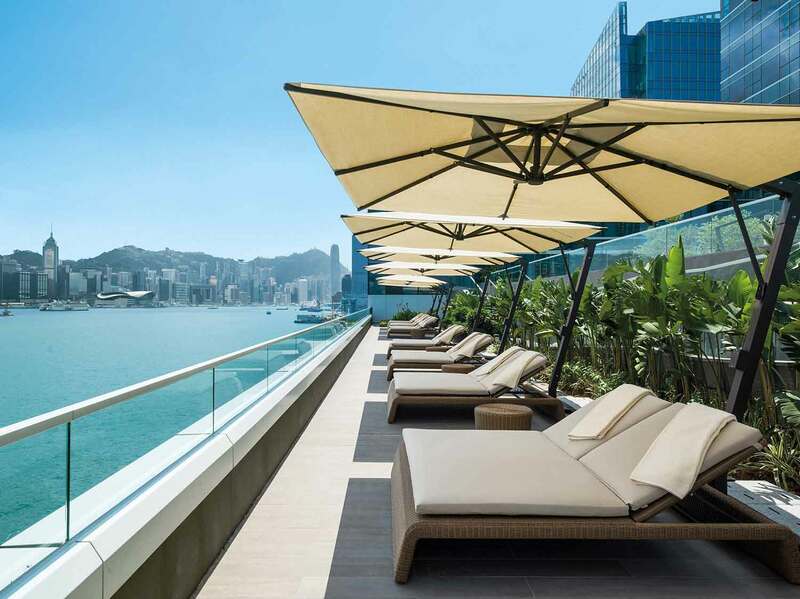 Built on reclaimed land, the property is less than a ten-minute taxi ride from the international brand stores of Tsim Tsa Tsui, yet has all the scale of an urban resort. Stepping through its doors, we immediately felt a great sense of space. Unlike Hong Kong’s many grande-dame properties, the lobby is clean and bright, with triple height ceilings and an unpretentious aura of calm. Vast terraces on different levels and a luscious ground floor garden area are a luxury in a city of narrow skyscrapers. It is also remarkably quiet considering its size, with nearly 550 rooms. Designer Andre Fu has incorporated an eclectic mix of styles to define each area: with a nostalgic take on Hong Kong life in restaurant Hung Tong, incorporating metal entry gates and parquet flooring inspired by high-rise city living. The pool and outdoor lounging areas are modern, informal and relaxed, right down to the laid-back attitude of staff. 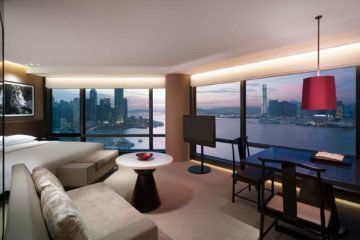 However, the property’s real trump card is its uninterrupted view of the lights of Hong Kong island. Relaxing by the 7th-floor infinity pool affords a truly unique 270-degree panorama of the harbour, which can equally be enjoyed, cocktail in hand, from the spacious yet private terrace bar. To really maximise on your bragging rights, opt for a sea-view room; ours was cleverly laid-out and comfortable, albeit slightly on the small side for a property of this scale. Extra perks like in-room check-in, free minibar on arrival and password-free WiFi made our stay smooth and easy.